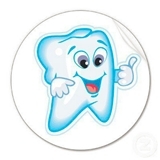 Kew Gardens Dental P.C (Kew Gardens) - Book Appointment Online! Beginning with your first visit to Dr. Pinkatz office, you will experience gentle and professional treatment. Dr. Pinkatz and her friendly, caring staff will make it easy for you to relax and feel of ease. our professionals take the time to listen to you, answer all of your questions and develop a treatment program for your unique needs. Helping you have healthy teeth and gums for a lifetime. She, as well as her staff, we're professional, courteous, and helpful.